Babycakes is so into playing masak-masak nowadays. 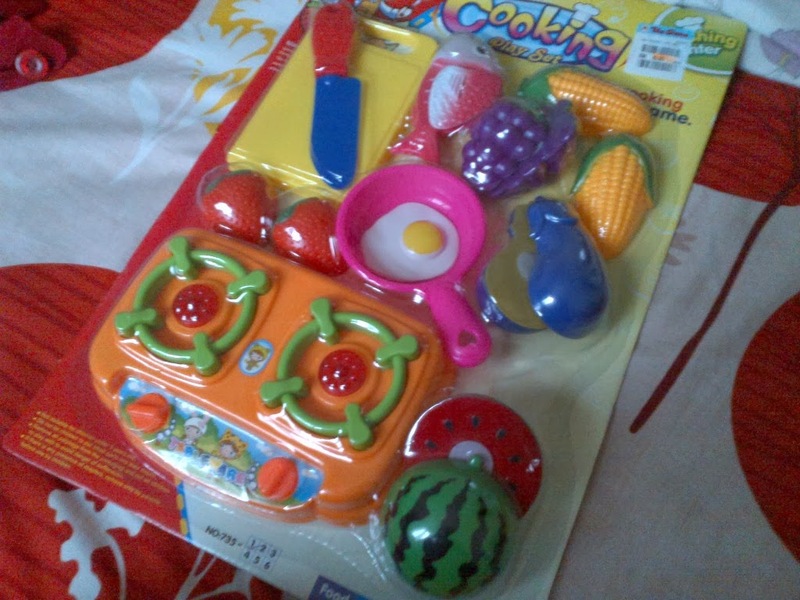 She has quite a number of masak-masak equipments. On Monday 6 January 2014, I was in Muar for a case so I went to The Store at Wetex Parade and bought her another set of masak-masak. It was very cheap, RM19.90 and it was on 20% discount. The el cheapo masak-masak set. I like that it comes with a few pieces of items with velcro tabs so Babycakes can pretend to cut the foods. 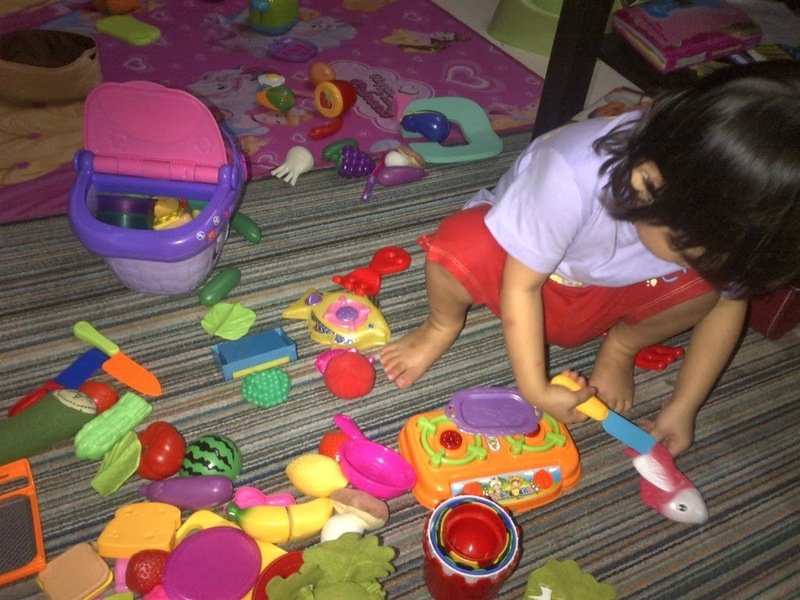 When I got back, I wanted to take a nap but I couldn't so I got up and started to sort all her masak-masak stuffs which were mixed up with all sorts of toys. I laid them nicely on the table and waited for her to come back. 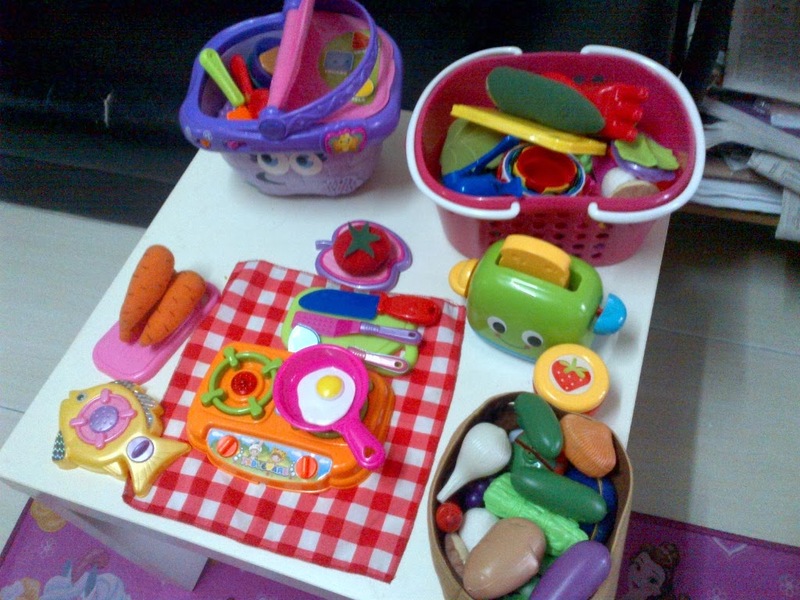 She was so excited upon seeing her masak-masak toys neatly arranged for her to play. She brought most, if not all of the stuffs on the floor and scattered them all over the living room. Here she is, 'cutting' a fish. And I had to tell her a gazillion times after that to clear her toys and keep them nicely in the storage box.